CPAchecker is a tool for configurable software verification. Our implementation is guided by the concepts described in the CAV'07 paper "Configurable Software Verification" and in the ASE'08 paper "Program Analysis with Dynamic Precision Adjustment". The name CPAchecker was chosen to reflect that the tool is based on the CPA concepts and is used for checking software programs. 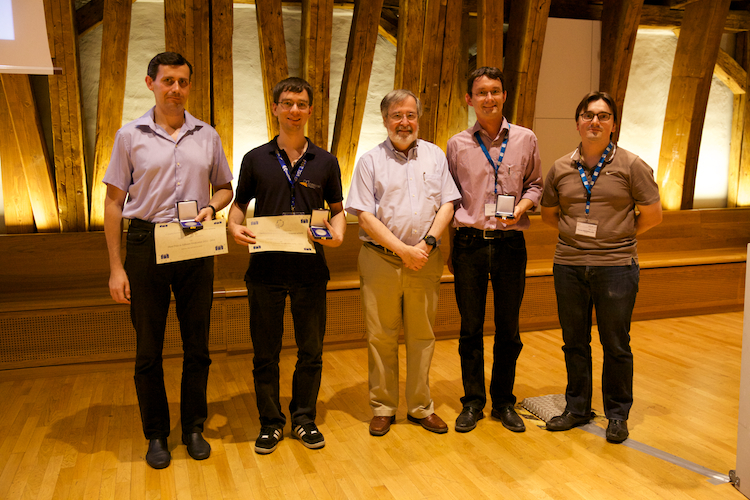 CPAchecker wins category Overall and a total of 12 medals in the 8th Competition on Software Verification (SV-COMP'19). The slides of the 3rd International Workshop on CPAchecker (CPA'18) (September 25-26, 2018 in Moscow, Russia) are now online. We welcome two students who will work on CPAchecker as part of the Google Summer of Code 2018.